Reality Squared Games (R2Games) today announced that their 2.5D oriental fantasy MMORPG game, Blood and Jade, will be entering its first open beta testing phase tomorrow, October 29th. Thanks to the dedication and tenacity of Alpha users, the opening of the Xianyang server heralds a new beginning for Blood and Jade. Discovering the drama of the Warring States has never been easier. 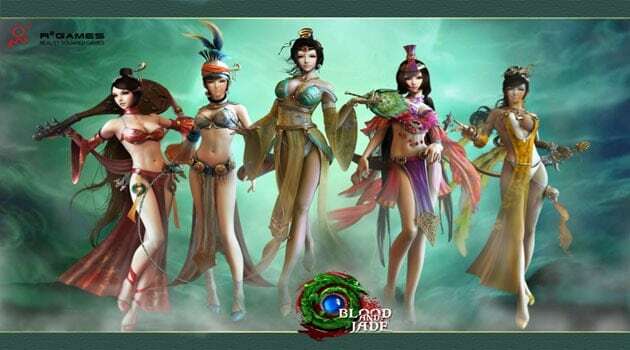 Judging from the information available on the website Blood and Jade appears to be yet another lackluster free-to-play MMO with the overly familiar oriental theme that has a heavy focus on martial art styled abilities. The features list could quite easily be used to describe 1000 other MMO titles and the lack of activity on the forums doesn’t bode well. Blood and Jade offers players hundreds of quests, a combo system that rewards additional attack bonuses based on how many monsters a player can kill and evolving mounts that can be used for both combat and travel. For more information on the game you can visit the official website.